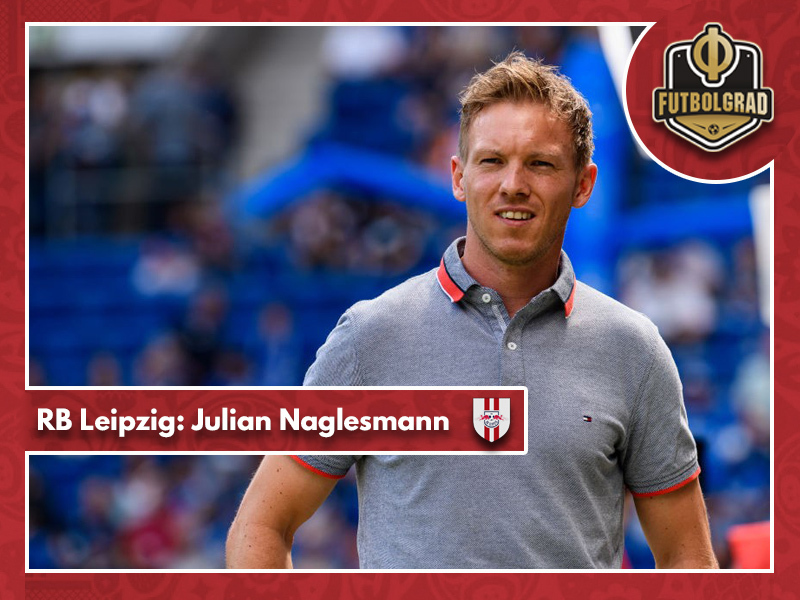 Football is a notoriously fast moving game, both on the field and off it – highlighted once again this afternoon by the speed in which RB Leipzig acted to secure the future services of TSG Hoffenheim head coach, Julian Nagelsmann. The 30-year-old has agreed to join Die Roten Bullen in July 2019 – this coming season will be his last with the Sinsheim club. Naglesmann quickly soared to the top of the wanted list for many clubs after taking over at Hoffenheim back in February 2016. Initially hired to oversee a predicted transitional period, the young coach avoided what many called ‘certain relegation’, steering Die Kraichgauer out of the Bundesliga’s drop zone and into safety. He then guided TSG into the Champions League in his first full season, eventually losing the playoff to finalists Liverpool. At one point the former TSV 1860 München assistant coach was a contender for the vacant Bayern München job, even being linked with moves to both Real Madrid and Barcelona. Today’s news that he has agreed terms with RB Leipzig comes after a rocky few months for the Lower Saxony side. Ralph Hasenhuttl left in May after they finished sixth, four places lower than their first season. A difficult adaptation to European football, combined with rumours of a switch to Bayern München, seemingly enough to cause a break down in relations with his bosses above. 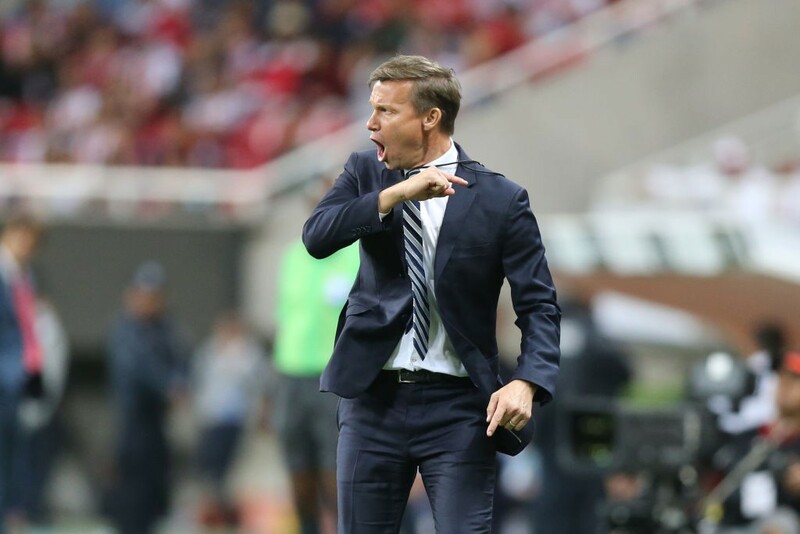 Leipzig were thought to have narrowed down Hasenhuttl’s replacement to two candidates, both from the current Red Bull empire of football teams – Marco Rose of Red Bull Salzburg and Jesse Marsch of Red Bull New York. 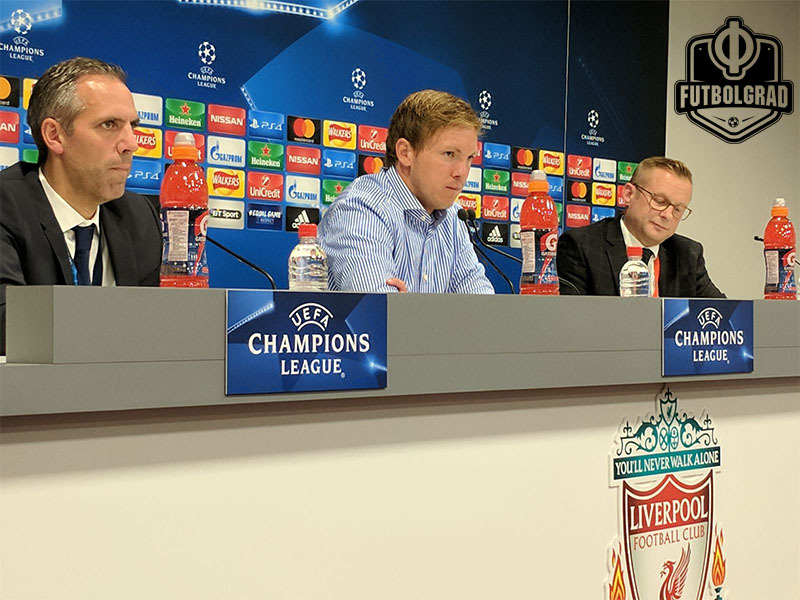 The Futbolgrad Network has learnt Marsch was the preferred candidate within the business walls of the company, while the footballing elements of Ralf Rangnick and Oliver Mintzlaff held strong reservations over signing a non-native German speaker. However, all parties were in agreement that Naglesmann was the ideal candidate once they became aware he was willing to activate an exit clause with his current side. Naglesmann’s capture brings to an end the internal quibbling and ensures that Die Roten Bullen have secured the best possible coach to oversee their aim of eventually winning the Bundesliga. It is thought that Ralf Rangnick will take over as an interim coach during the 2018/19 season. Naglesmann officially arrives at the club on 1 July 2019 after signing a deal that lasts until 2023.